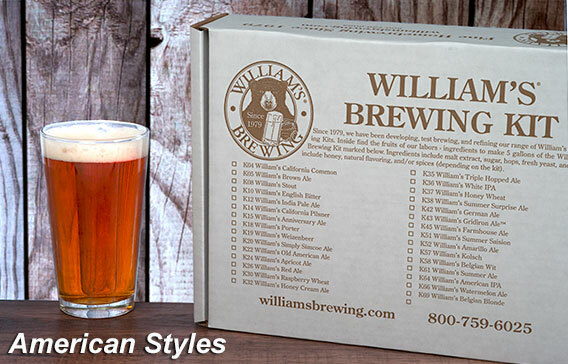 The best home beer brewing kits for sale are at William’s Brewing. Brewing your own beer is a truly satisfying and enjoyable process when you are using the right equipment and ingredients. 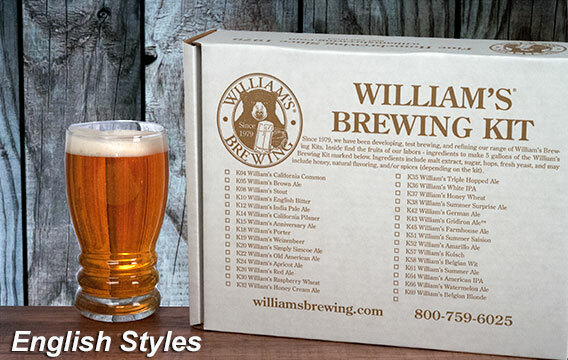 William’s Brewing knows this firsthand, which is why we’ve developed our own beer brewing kits for sale. 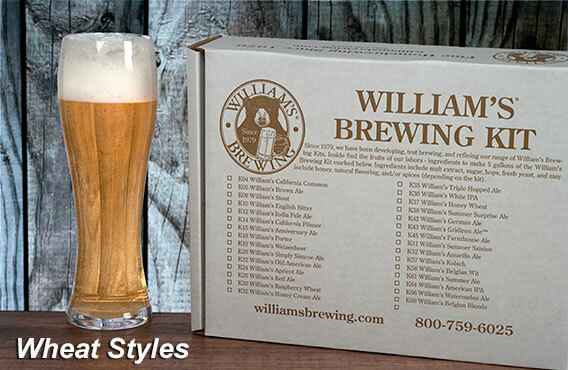 Our William’s Home Beer Brewing kits were developed with the concept of ease and enjoyment. There are very few beer brewing kits for sale that have totally streamlined the process of brewing beer at home, but we’ve got it down to a science. With our brew-by-numbers instructions, you are sure to get a delicious end-product every single time you brew. Check out some of the different styles we offer below. Can’t decide on just one? Why not pick up a few! 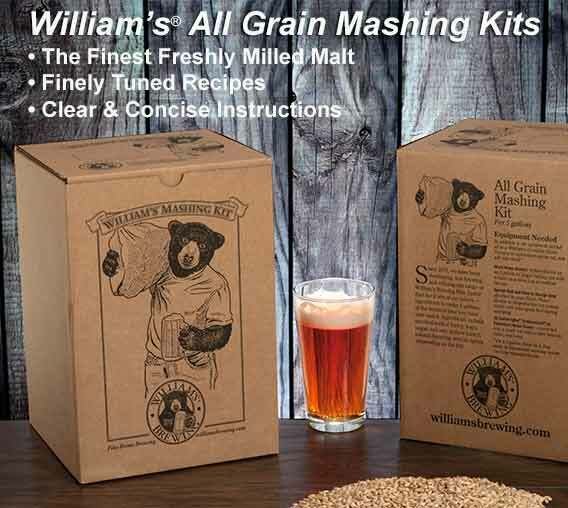 For those who prefer a good ol’ American style beer, we offer a slew of beer brewing kits for sale that are sure to tickle your tastebuds. For an extremely hoppy brew, check out our American IPA. For something a bit more crisp and refreshing for the autumnal months, check out our Honey Cream Ale. Of course, many prefer the taste of the brews from across the pond, so of course we stock a wide variety of English style kits. For a strong, dry brew modeled after the Brown Ales of Northern England, check out our Brown Ale kit. 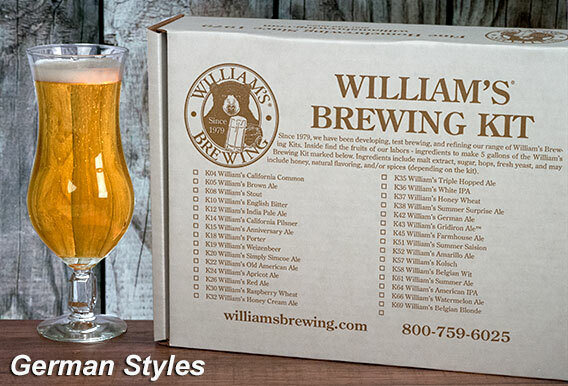 If you are a seasoned homebrewer and looking for a bit of a challenge, we highly recommend our Imperial Stout kit. The end product is a very oaky, rich beer worth sharing with friends if only for bragging rights. 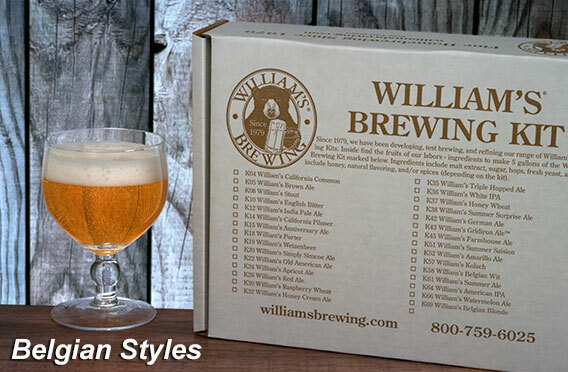 Whether you prefer an American style, English style, or something in between like a Belgian Ale, we’ve got the beer kit for you. Shop our selection today!